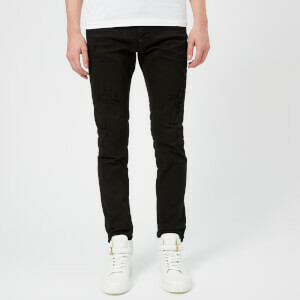 Black velvet skinny jeans from British fashion designer, Neil Barrett. 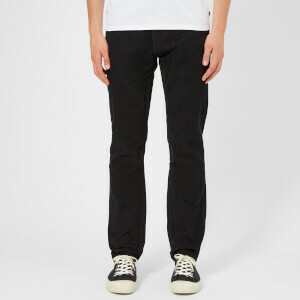 Crafted from stretch fabric, the regular rise jeans comprise a five pocket design with an additional utilitarian zip pocket. A button and zip fastening also features. Complete with belt loops and logo-engraved, silver-toned hardware throughout. A black leather logo patch sits on the reverse waistband.